Aggregate Industries offer both cementitious (Cemfloor) and calcium sulphate / anhydrite (Highflow) flowing screeds from their sites in Harlow, London, Milton Keynes and Southampton batching plants. With products for most flooring applications and having been a supplier for many years, their product range never fails to deliver. Both their cementitious and calcium sulphate for use in residential, office and administrative buildings, as well as hotels, schools and hospitals, it is well suited for under floor heating systems. It is suitable to receive all types of plastic/vinyl and textile coverings as well as parquet, slabs/boards and tiles. A list of their screed products and further information about them can be found below. Their liquid floor screed mixes are available in a range of strength grades, from C20 to C30. Bespoke design mixes are also available to meet specific requirements of any project. But for any information and guidance on which liquid screed would be best for your floor, please do not hesitate to send us an email or call one of our knowledgeable team who will guide you through the specifics. The flowing screed products available from Aggregate Industries are delivered in ready mix trucks and are batched directly from each plant. Typically they will travel up to a 30 mile radius from plant which ensures the screed is as fresh and workable as possible to help achieve the best finish. 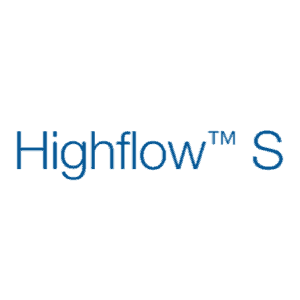 Highflow S is a free flowing floor screed for placing by pump or chute, provides contractors and specifiers with a high performance fast track solution to the construction of screeded floors. Available in strengths from C10 to C30 and flexural strengths from 4-6 N/mm2. Suitable for bonded, un-bonded or floating floor construction. Suitable for all residential and commercial floors carrying pedestrian traffic within bs 8204.
compatible with most acoustic resilient systems due to its uniformed compaction, creating 80kg/m2 at 40mm depth. Designed to ideally be laid between 35mm to 80mm depths. Cemfloor liquid screed is a high-performance cement based, free flowing, self-compacting liquid screed developed by McGraths in Ireland. It can be installed very quickly (up to 2000m2 per day) saving time, foot trafficked in 24-48 hours and dries within 10-28 days with minimal shrinkage (<0.05%). It is suitable for a variety of applications; commercial and domestic floors, under-floor heating, wet rooms, un-bonded or floating floors, new builds or renovations and single or multi story projects. Cemfloor liquid screed is only installed by fully approved and trained applicators ensuring quality is never compromised. Its fast-drying properties ensure floor coverings such as tiles can be applied at a final moisture content of 5% and hard wood/timber floors can be installed at a final moisture content of 2.8%. This significantly speeds up the entire build process compared with calcium sulphate screeds, which require a final moisture content of 0.5%. Cemfloor liquid screed boasts exceptional thermal conductivity of up to 2.9W/mk and is very suitable and responsive to under-floor heating due to the fact it can be laid in very thin sections. This ensures lower energy bills and running costs. Ideal for domestic and commercial screed requirements / applications. Compatible with all floor coverings. Up to C30 strengths and F6 flexural ratings available. Ideal for wet under floor heating systems.